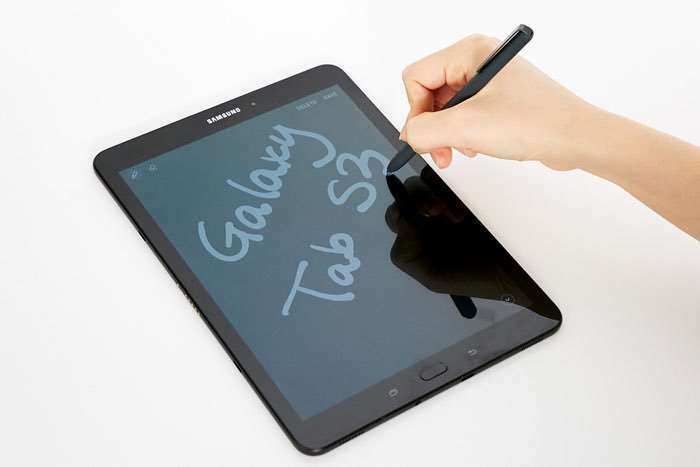 The new Samsung Galaxy Tab S3 was made official recently and now we have some details on the price of Samsung’s latest tablet. The Samsung Galaxy Tab S3 is listed on Best Buy with a retail price of $600, the tablet is also launching in the UK and Europe later this month. As a reminder the new Galaxy Tab S3 comes with a 9.7 inch Super AMOLED display that has a resolution of 2048 x 1536 pixels. The tablet is powered by a Qualcomm Snapdragon 820 processor and it comes with 4GB of RAM and a choice of 32GB or 64GB of included storage. The Galaxy Tab S3 comes with a 5 megapixel front facing camera and a 13 megapixel rear camera and it also comes with a new Samsung S Pen.